Customize DVD template for video to DVD. Is There Any Online DVD Burner? Many people search for an online DVD Burner. But in reality, there is no online DVD burner is available. So, we can recommend them some portable DVD burners. Thus, they may not need to install these applications to install. In other words, this DVD burner software can be installed in the flash drives or My documents. Here top 10 best portable software have been discussed. Online DVD Burners need no installation and are free to use a majority of the times, but they have very limited DVD burning features. So if you want to burn your videos in a high-quality disc with an array of additional features, Wondershare DVD Creator will prove to be the best online DVD burner alternative. Convert almost all types of video files on your Windows or Mac system to professional looking DVD or Blu-ray disc, using the software. So no matter whether you are looking for MP4 to DVD, MKV to DVD, VOB to DVD, MOV to DVD or any other file, Wondershare DVD Creator is there. · Burn videos in any format to DVD/ISO/DVD Folder/Blu-ray DVD. 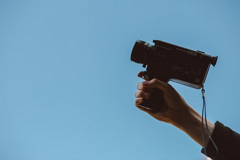 · Additional functions to help you easily handle with photo slideshow making, ISO to DVD, Data Disc creation, DVD to DVD copy, video editing, DVD to video conversion, and others. · Online DVD burner alternative to customize DVD menu with picture, title, music etc. · Apply 100+ free static and dynamic menu templates with different styles such as Standard, Family life, Sport, etc. 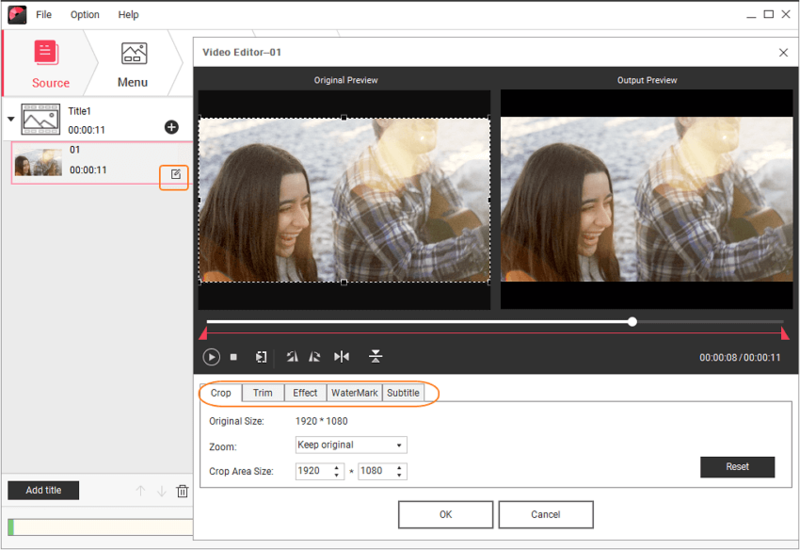 · Built-in editor to personalize videos simply by Trim, Crop, Add subtitles or effects, etc. · Burn videos to DVD with super fast burning speed and high-quality output. 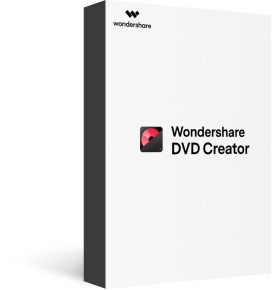 Wondershare DVD Creator supports wide range of video and picture formats for disc burning. So whichever file type you may have, the software will burn them to a disc seamlessly. Free burners generally support limited file types and formats and thus not compatible with all your videos. DVD Creator allows burning your videos to high quality DVD disc, Blu-ray disc, DVD folder as well as ISO image files. Moreover, all types of discs are supported by the software. On the other hand free and online DVD burners does not actually burn your videos to disc , DVD folder or ISO image, but converts them to DVD compatible formats. Wondershare DVD Creator offers over 100 types of static and dynamic DVD template designs. Choose the one that best fit your video theme. You can also customize the template by adding background image/music, creating chapters, and other features. Free DVD converter online does not have option for DVD template selection or customization. 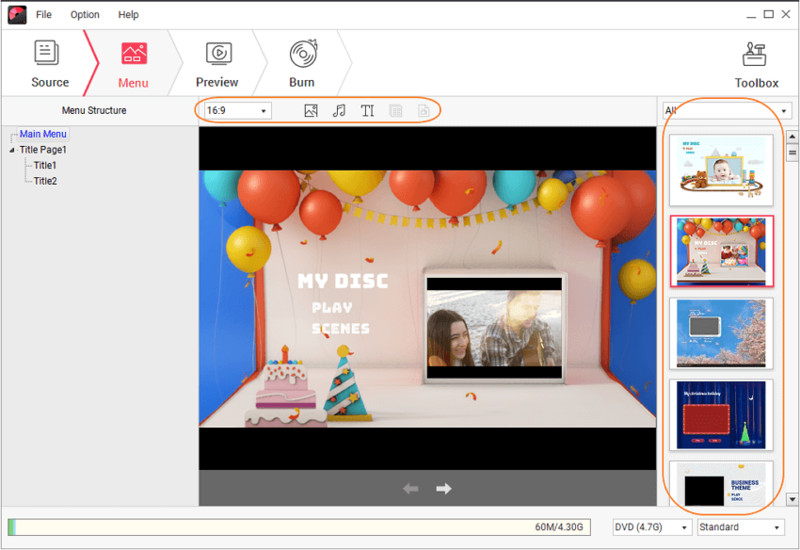 The Wondershare DVD creator comes with built-in video editor that can be used to trim, crop, enhance and edit videos before burning. Thus you can add watermark, add subtitles, change brightness and personalize your videos in many other ways. Majority of the online DVD burning tools do not support editing feature, and even if they do, they are very limited. 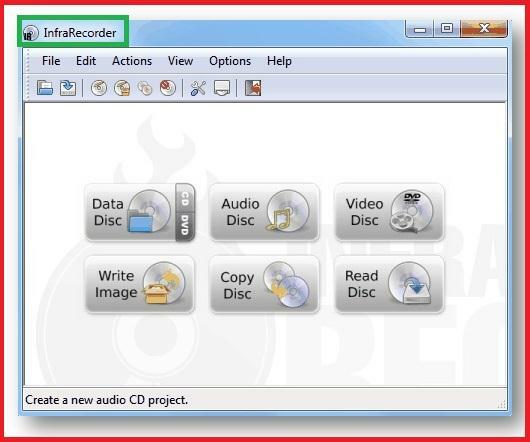 Once Wondershare DVD Creator is downloaded and installed on your PC, you can burn as many videos to a disc as you want without bothering about any internet connection. Online converters on the other hand are totally dependent on net connection. You need a strong internet connection for working on these programs. Wondershare DVD Creator comes pack with host of additional features like real-time preview, photo-slideshow, DVD/Blu-ray disc to video conversion, DVD to DVD, super fast DVD burning speed, and others that overall enhance your DVD burning experience. Online DVD burners have very limited and basic features. Step 1 Run Online DVD Burner Alternative and select disc type. Download, install and open Wondershare DVD Creator on your PC. From the window that appears, select the Create a DVD Video Disc option. Step 2 Import and edit video files. Under the Source tab, click + button to browse and add videos present on your PC. You can also drag and drop the files. The left column will show the added files as thumbnails with video name and its length. To edit the video before burning, select the video and click the pencil icon. You can also right-click the video and select Edit. A Video Editor window will open with tabs for Crop, Trim, Effects, Watermark, and Subtitle. Make changes to the needed tab and click OK to save your editing. Step 3 Choose DVD template and customize it. Next move to the Menu tab on the primary interface. The static and dynamic template designs will be shown on the right column. You can see the menu structure of the disc at the left column. From the available template, double-click to select the desired design. Download icon gives the option to download more designs. For creating chapters, adding background image/music, setting aspect ratio, and other template customization options, select the relevant icon at the top of the interface. Step 4 Preview and burn videos to DVD. Click the Preview tab to check the created disc. If anything needs to be changed, you can go back to Menu or Source tab to do so. Next move to the Burn tab and from the Burn Settings window, select Burn to Disc option. Choose other disc parameters. Click Burn button to start converting your files to DVD disc. There is myriad of options available when it comes to online DVD Burner alternatives. The different software comes with different set of DVD burning tools and features. Depending on your requirements and expectations from DVD burning software, you can make a choice. To help you with the same, listed below are some other popular DVD converter online alternatives with their key features. 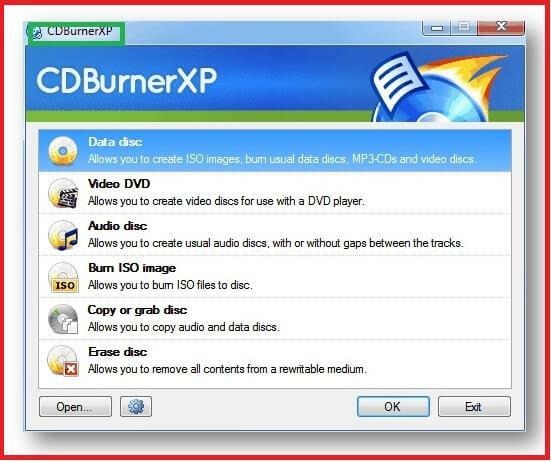 Different types of discs are burnt with CDBurnerXP. It helps to create and burn audio CD and DVD video. It provides to create ISO files and bootable discs. It supports the multi-language in the friendliest interface. It allows identifying data verification after burning process. It burns HD video and SD video formats in DVD. It is so fast and incredible DVDs portable burners. It burns any video files to DVD formats. It has the great task to record audio disc from audio files. It helps to copy any video, audio, and recording files from disc to disc. The program supports to rip the audio CDs to MP3. It also allows to convert image files to the desired another formats. The portable update version is helpful for windows. StarBurn burns DVDs, CDs, and HD-DVD media. It gives you perfect backup for your sensitivity data instantly. 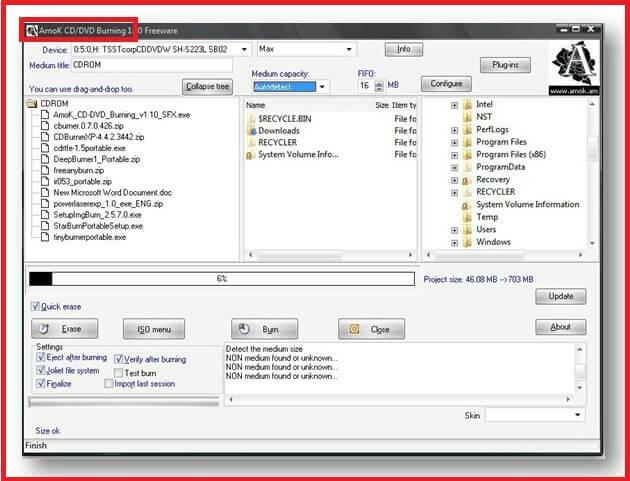 It provides to burn ISO image files at a short time. Different types of optical devices (CD-R/RW, DVD-RAM) can be burnt. It also helps you to remove data from the disc. 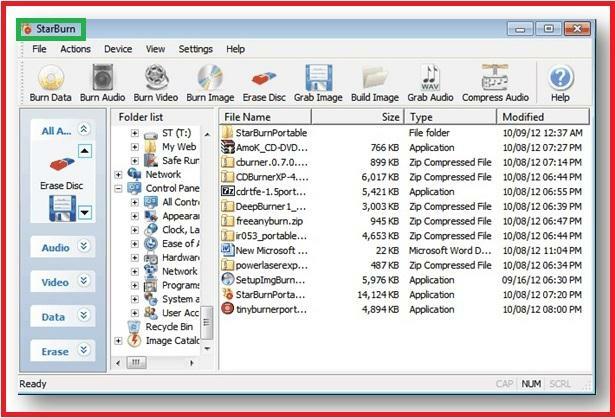 This application can burn Blu-ray discs, DVD video discs, and HD DVD video discs. It supports huge file formats for input files. Several images are burnt with image queue. It has the great application for windows OS. It also can write data to discs from the file formats. This popular interfaced portable program can burn bootable discs. CDRTFE supports the audio CDs and data CDS. It has a great optional error protection for XCDs for the file formats. ISO images can be burnt and created with this application. It helps to extract audio track files such as mp3, flac, ogg, and wav. Project files can be used with it. It supports the multi-language of different files. The program supports the windows for 9x and latest windows. 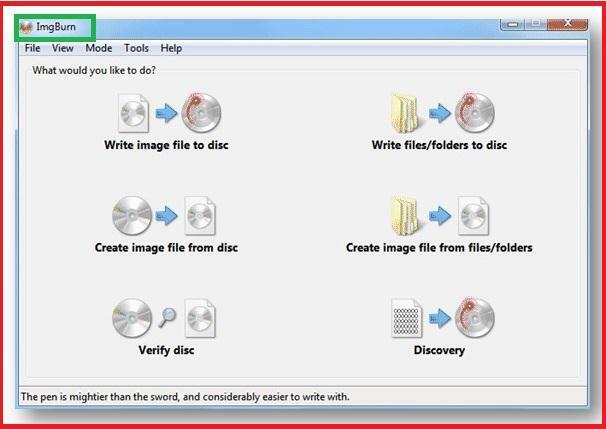 This program can help to create CDs and DVDs. It burns ISO image files from the desired files. It also helps to continue multisession disc. 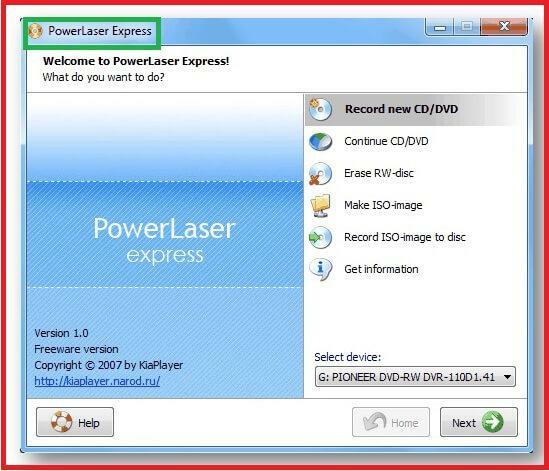 IMG file can be written with PowerLaser Express. It supports to produce bootable discs. It helps to remove data from discs. Much valuable information can be got from the program. 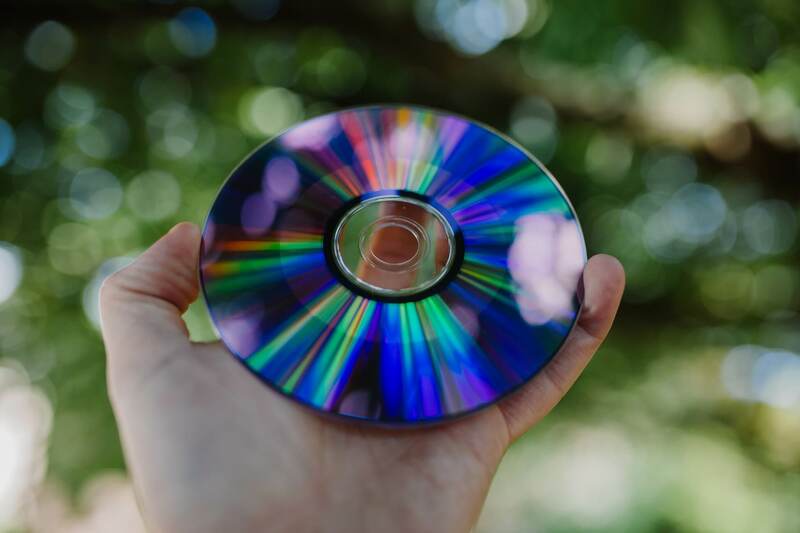 Amok allows burning CDs and DVDs to the suitable file formats. Audio and video discs can be burnt with it. ISO image files can be burnt from a DVD video folder. NRG and BIN image files are burned from the desired file formats. This friendly interfacing program can burn the bootable discs. It also helps to erase the data files from the discs. It is suitable for windows 9x and other update versions. Disc labels and cover printers can be built with DeepBurner. It helps to write/burn audio CDs from the files. It also allows creating an autorun from the file formats for your discs. Blu-rays or video disc files can be recorded by it. It also supports to make bootable media for burning functions for the most users. ISO images also saved or burnt with this application. Various kinds of multiple simultaneous recorders can be supported. It supports for windows 7, windows XP, and vista. InfraRecorder supports to create custom data files. It allows using blank rewritable discs. ISO disc images can be recorded from the valuable formats. It burns the DVD video discs by the help of application. A disc can be read with the program. Audio and data tracks can be saved to other files. It helps to create discs copies. It is suitable to 32-bit and 64-bit portable versions. It is suitable for windows 2000 and the latest portable versions. DVDStyler burns DVDs with suitable video formats. AVI and VOB files are supported without re-encoding. Image files are imported for the background. Various subtitles can be added to the discs. It helps to change color/front on the discs. 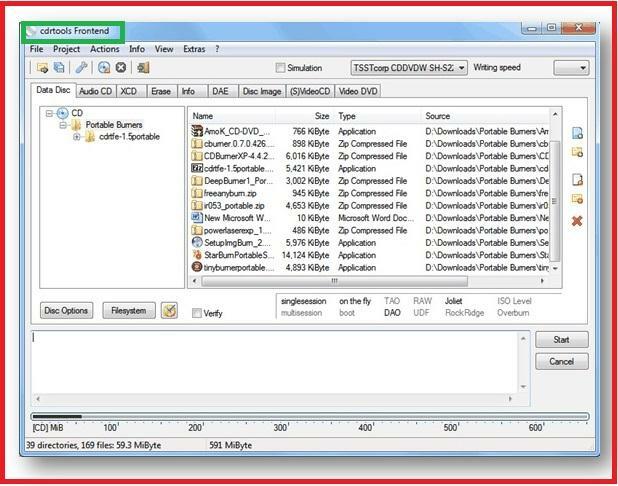 Directly video files are dragged and dropped by the help of it. It works on windows XP, vista, and 7. > Resources > Video to DVD > Is There Any Online DVD Burner?